1. 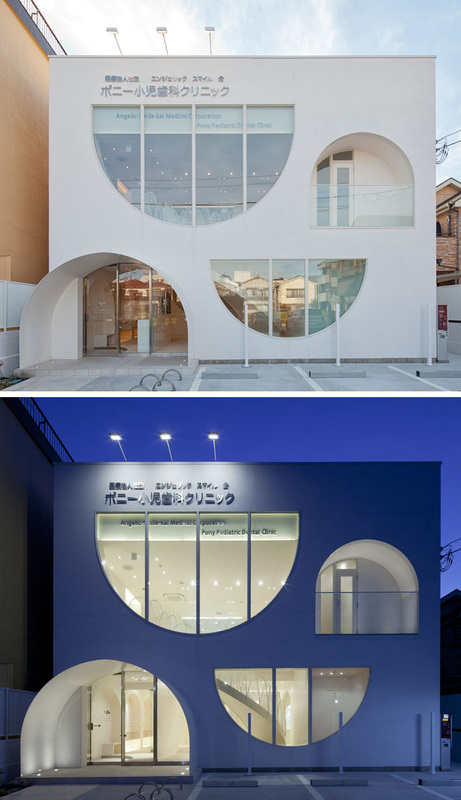 The curved windows of this white dental office are playful, with the curved shapes continuing on through the inside of the clinic. 2. 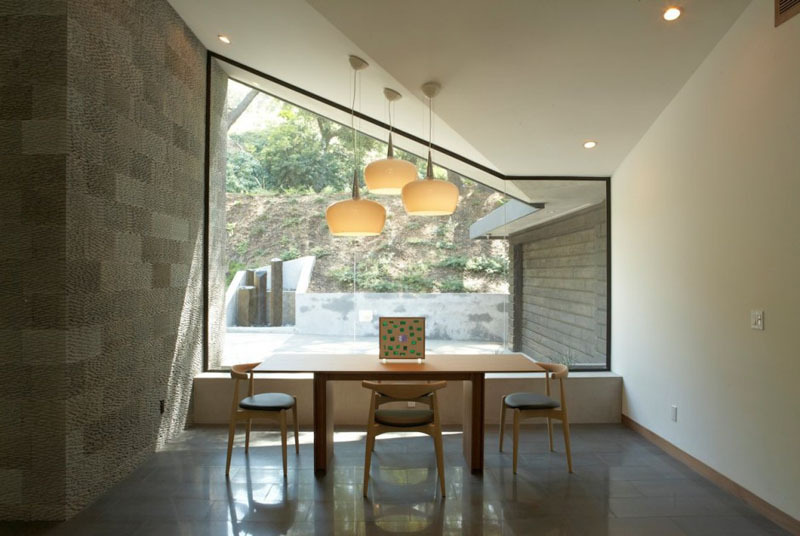 The window of this house is geometric in shape, and provides a ground level glimpse of the interior. 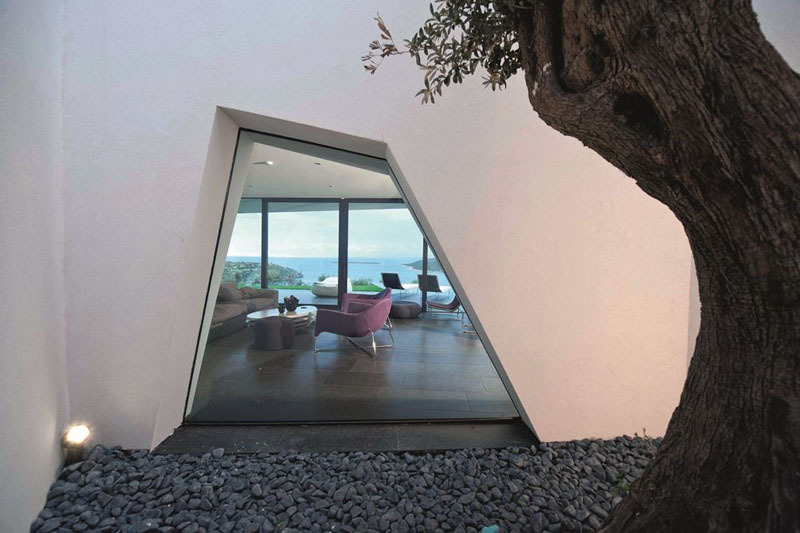 House in Turkey by Aytaç Architects. Photography by Mehmet Okutan. 3. The geometrically designed windows of this convention centre break up the uniformity of the modern building, casting intricate shadows within. SENSO Convention Center by MINAX. Photography by Lu Zhigang. 4. The downward fold in the ceiling of this home gives the black framed window a unique shape. 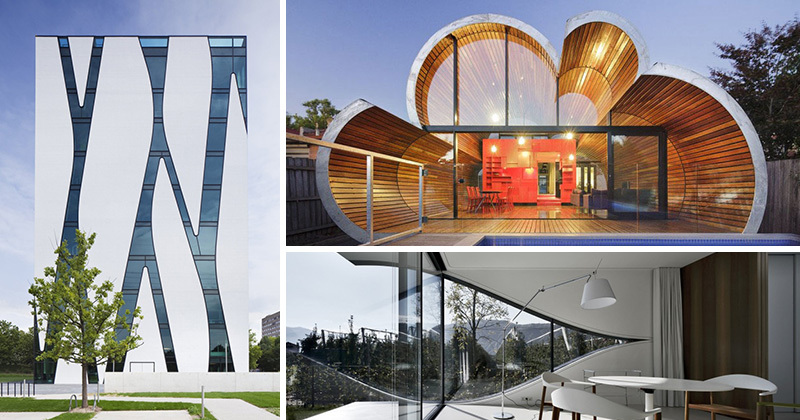 (fer) studio designed this modern house. Photography by Jack Coyier. 5. 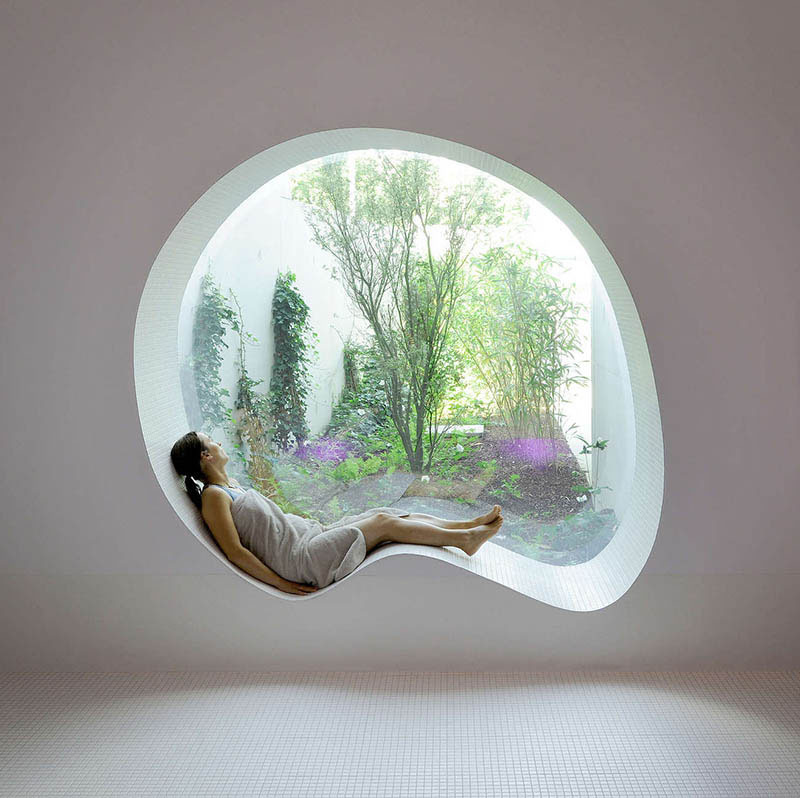 Perfect for daydreaming, this white curved window seat looks out over a tranquil garden. 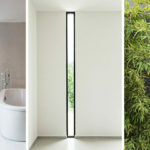 Dominique Coulon and Associates designed this curved window. Photography by David Romero-Uzeda. 6. In this wood sauna, breathtaking views can be seen through the rounded window, while light from above is provided through another round window. 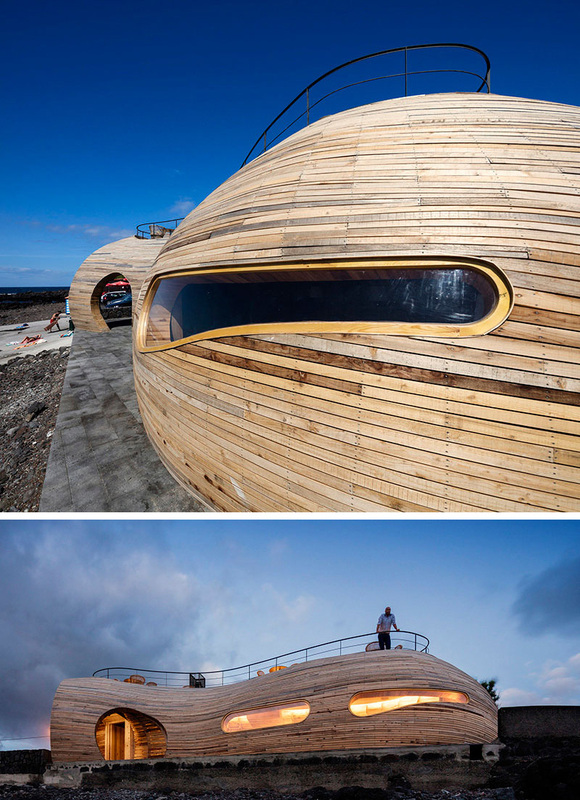 PARTISANS designed Grotto, is a modern sauna located on San Souci Island, Canada. Photography by Jonathan Friedman and PARTISANS. 7. Large and curvaceous, the windows of this home add a unique design element and provide a stunning view of an apple orchard. Peter Pichler Architecture designed this holiday rental home near Bolzano, Italy. Photography by Oskar Da Riz. 8. 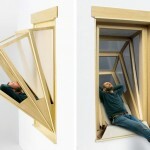 This geometrically shaped window has a built-in wood frame with an additional support that acts as a curved window seat. 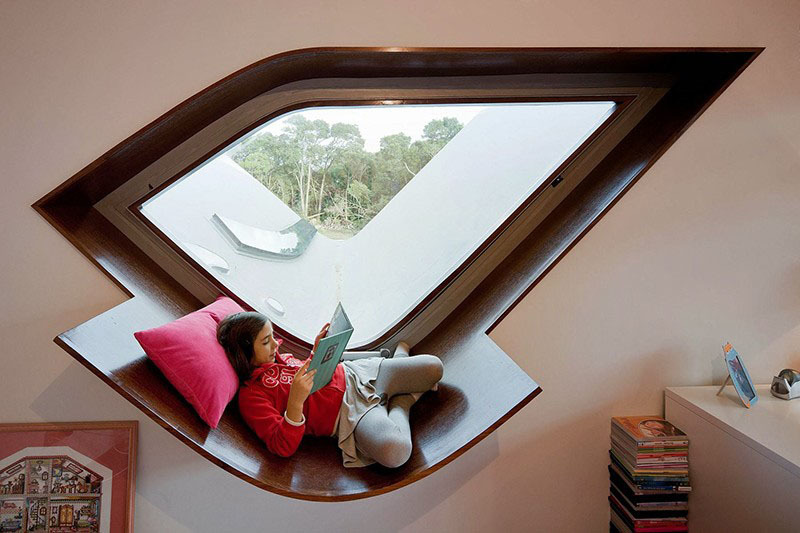 Bernardo Rodrigues designed this window seat. Photography by Iwan Baan. 9. The glass patio doors along with the curved windows of the Cloud House, create a floor-to-ceiling view of the backyard. 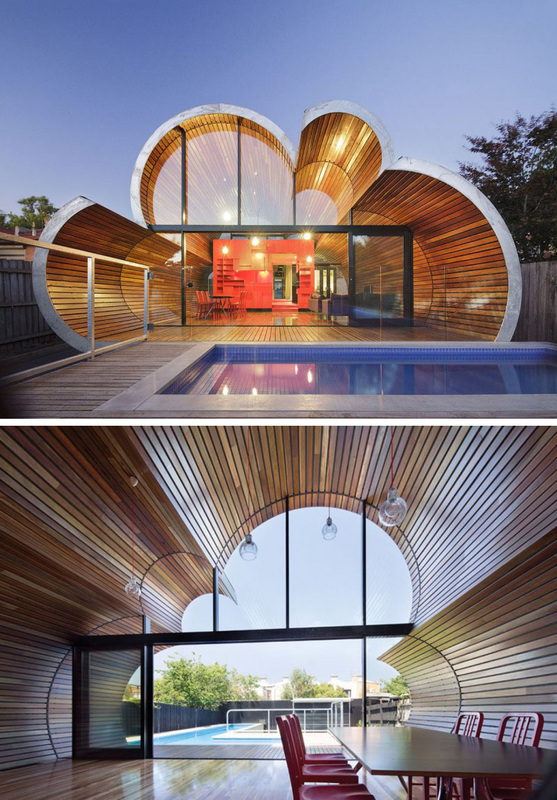 McBride Charles Ryan designed the Cloud House in Melbourne, Australia. Photography by John Gollings. 10. The sculptural exterior of this bar has long windows that organically flow with the wood building, and reveal a glowing interior at night. FCC Arquitectura, together with interior designer Paulo Lobo, designed the Cella Bar in Portugal. Photography by FG+SG. 11. The curved window of this cabin follows the shape of the exterior, and reveals the interior of this black wood cabin. 12. The white exterior of this library is made more unique by the elongated windows, connected by strips of glass that line the building. 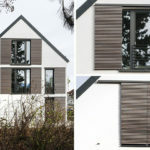 HPP Architects designed the O.A.S.E. Medical Library in Düsseldorf, Germany. Photography by Jens Kirchner.